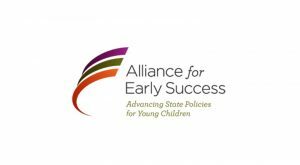 The Alliance for Early Success (the Alliance) is a catalyst for bringing state, national, and funding partners together to improve state policies for children, starting at birth and continuing through age 8. It provides technical assistance and financial support to state advocates in 30 states, and reaches all 50 states through research dissemination and sharing best-practice resources. This grant supports the Alliance’s broad-based technical assistance to state advocates on a number of issues including home visiting, implementation of the Child Care Development Block Grant, and on broader early childhood education policy.